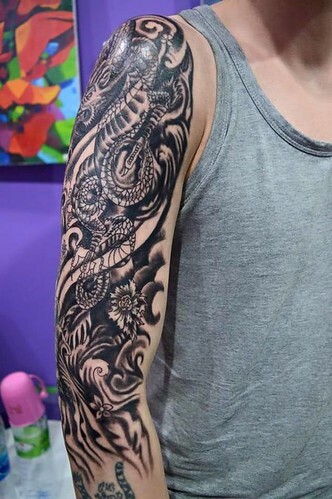 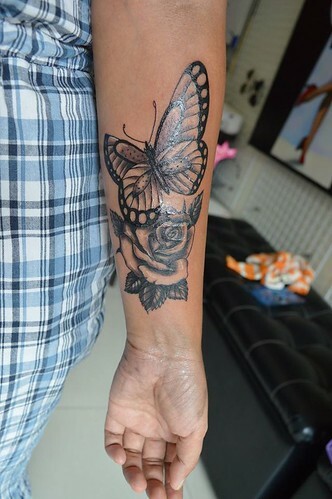 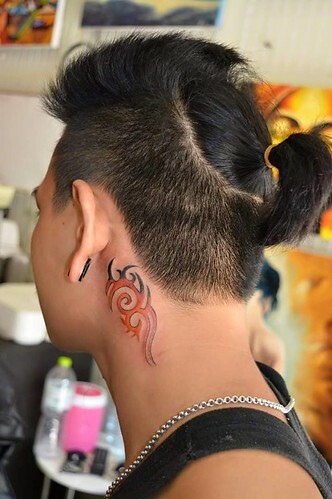 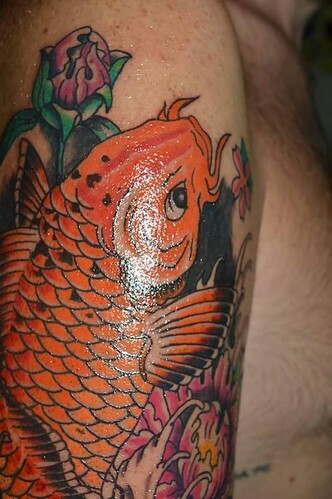 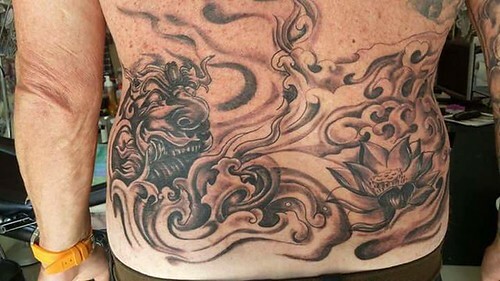 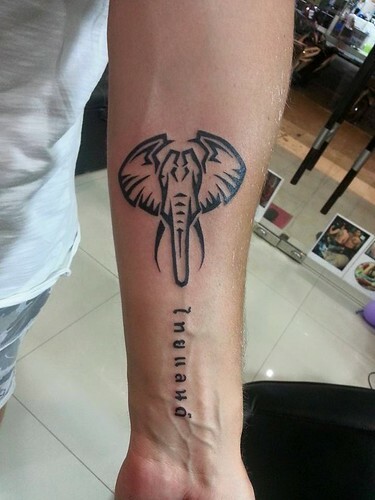 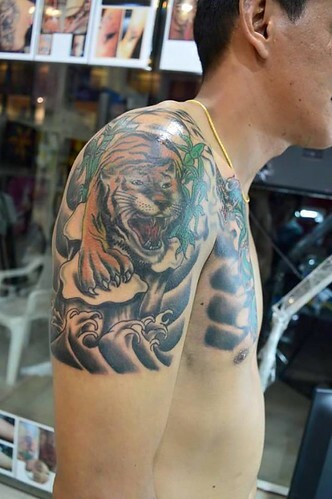 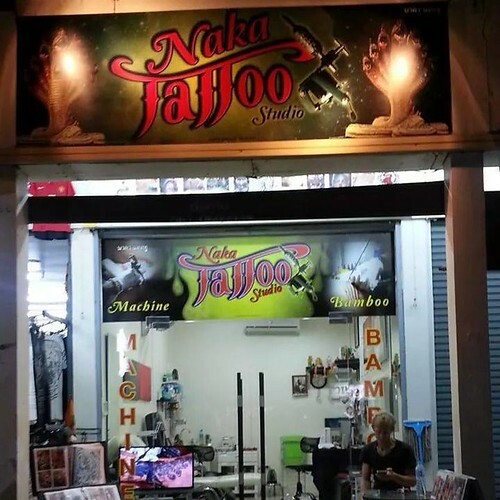 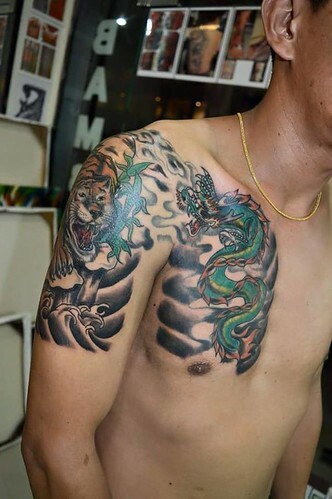 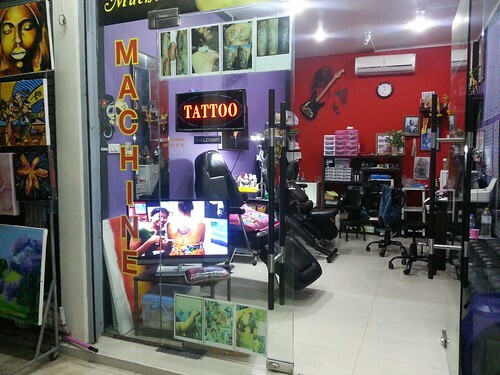 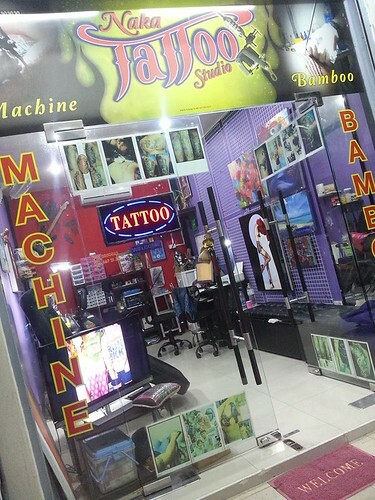 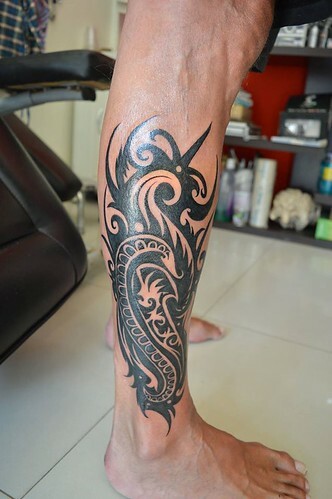 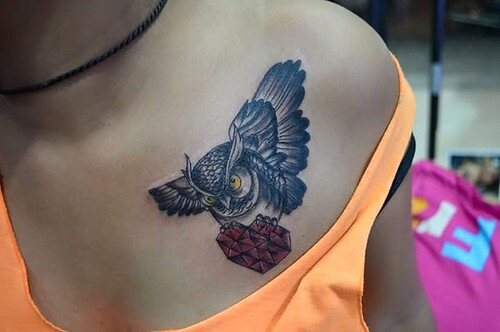 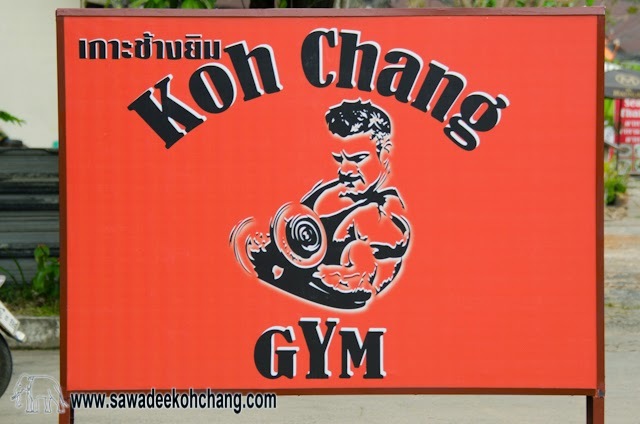 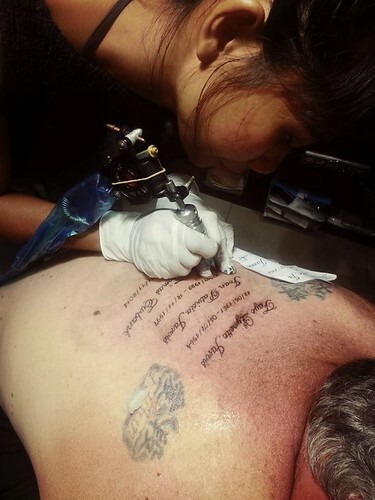 Located in the north part of White Sand beach, on the main road and on the hill side, just nearby Kacha Resort & Spa and on the opposite of Nim Laundry shop, Naka Tattoo Studio belongs to the tattooists I recommend. 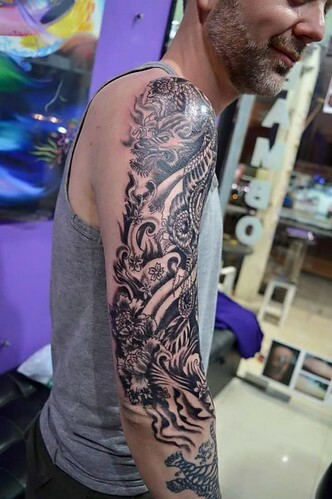 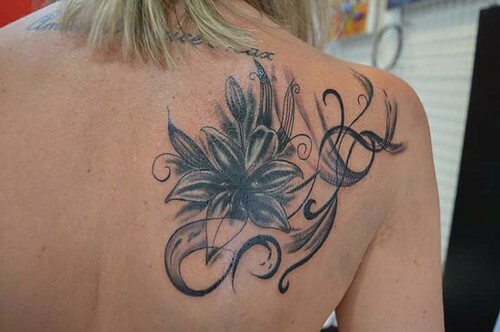 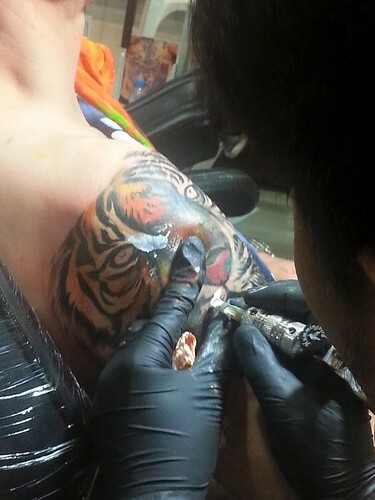 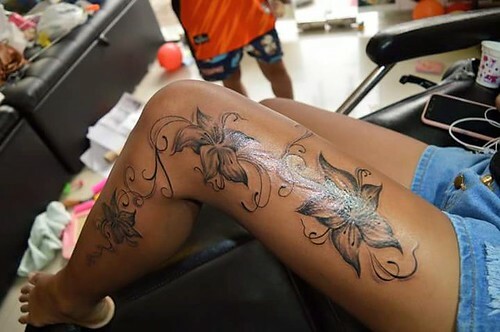 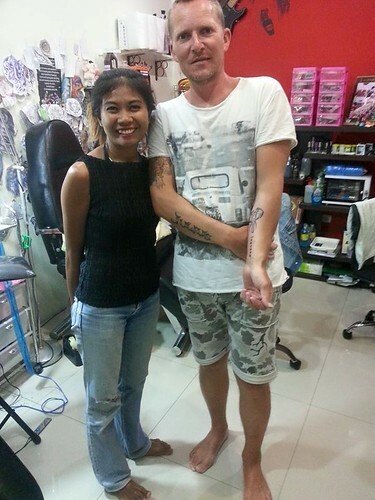 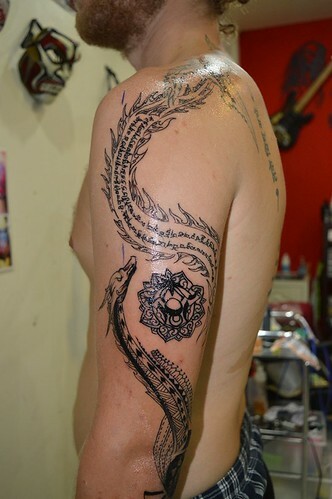 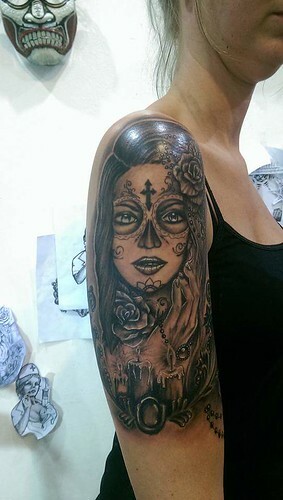 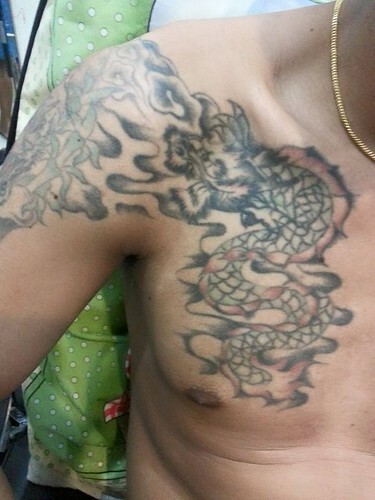 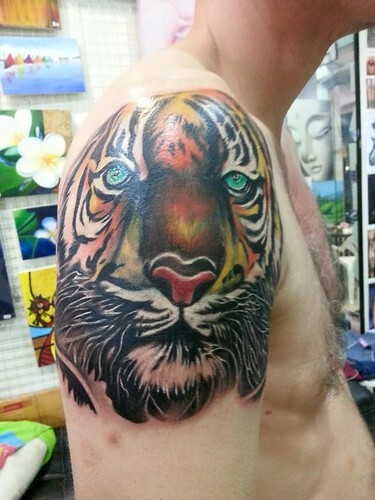 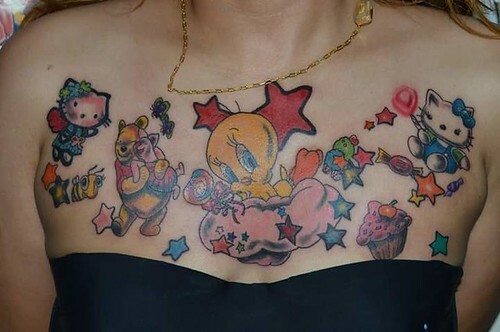 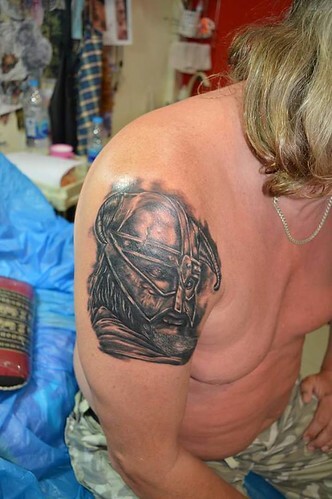 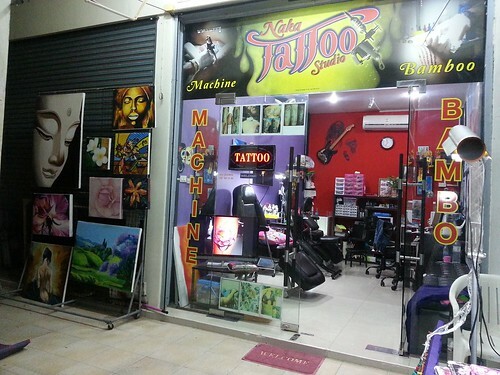 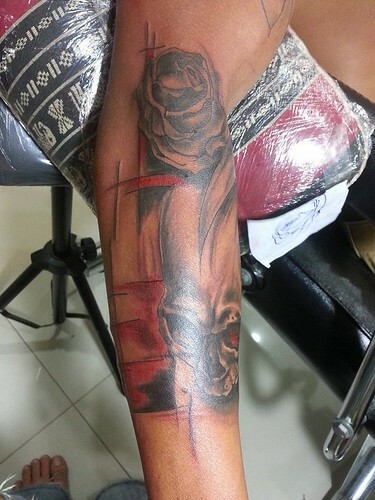 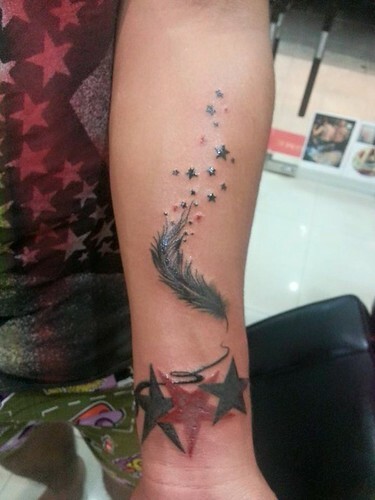 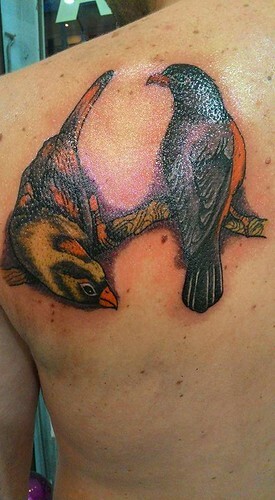 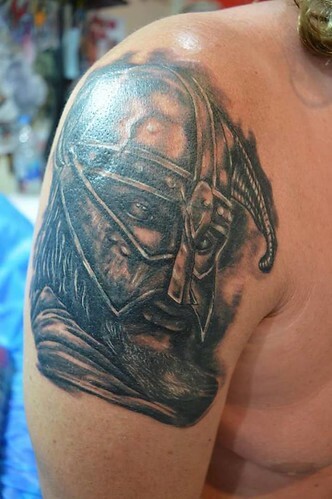 Ms. Coffee who is the owner, manager and tattooist of this studio has several years of experience in tattooing. 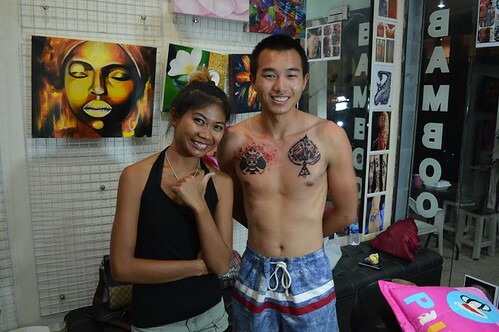 She has been studying art and been graduated from Mahasarakham University, in Maha Sarakham Province in the northeast region (Isan) of Thailand. 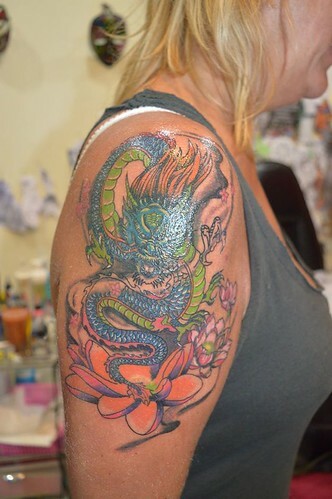 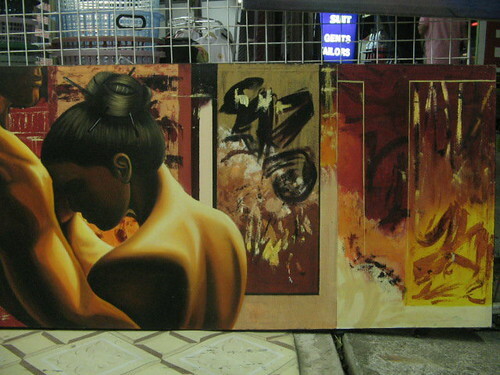 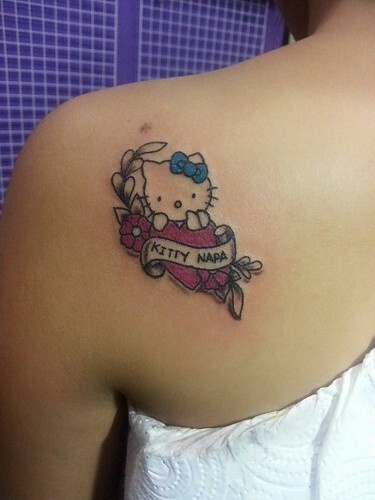 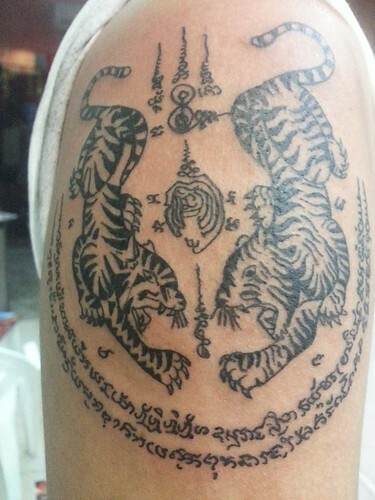 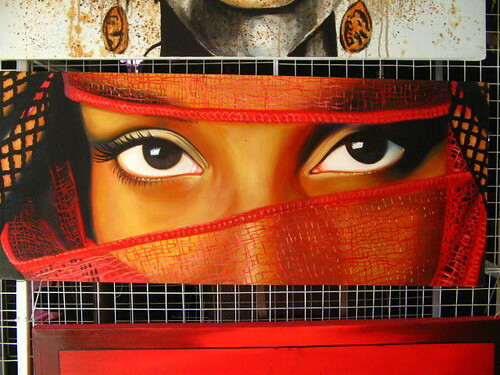 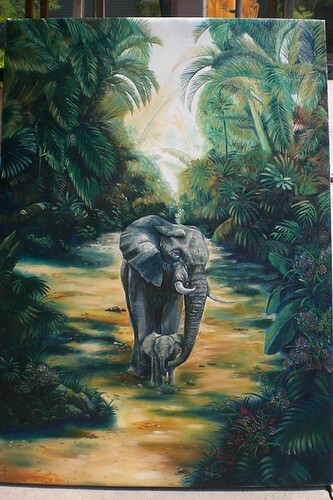 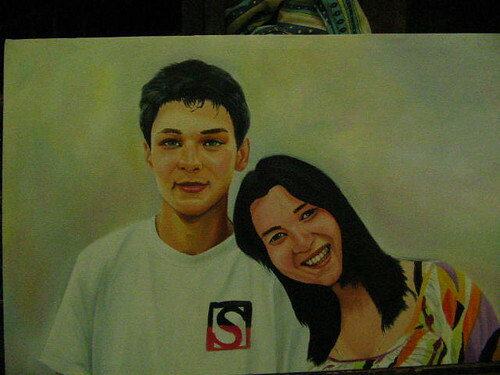 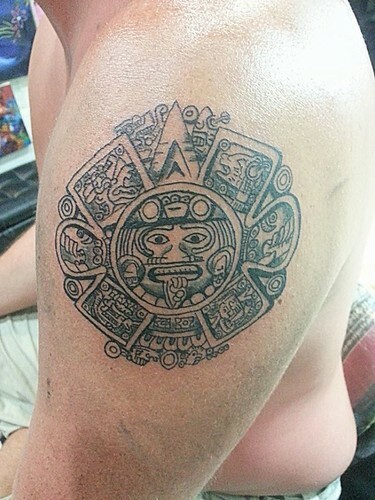 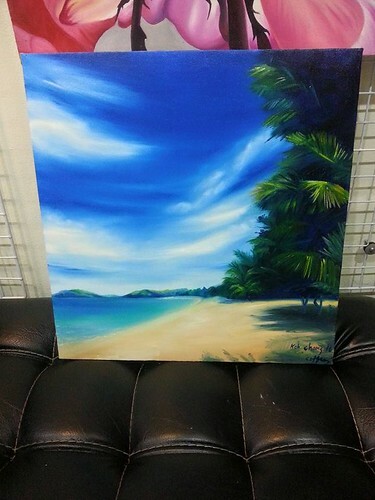 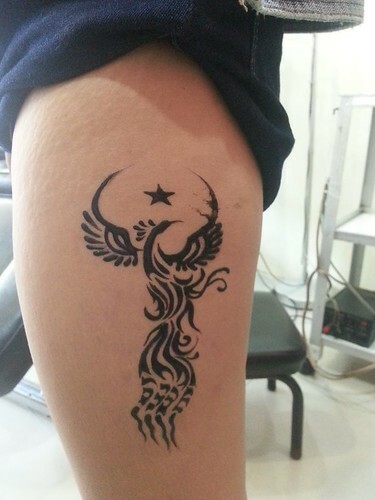 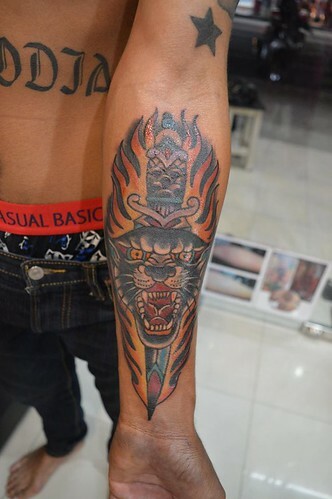 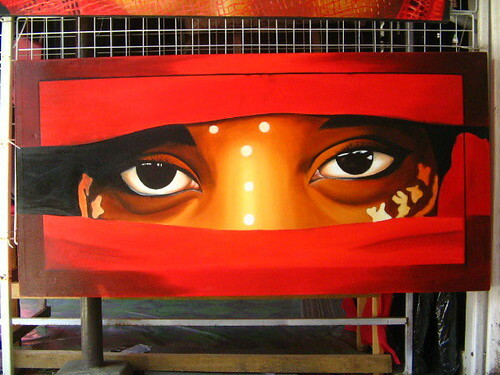 She can paint, design what ever you want, from any style and of course tattoo, with machine or bamboo. 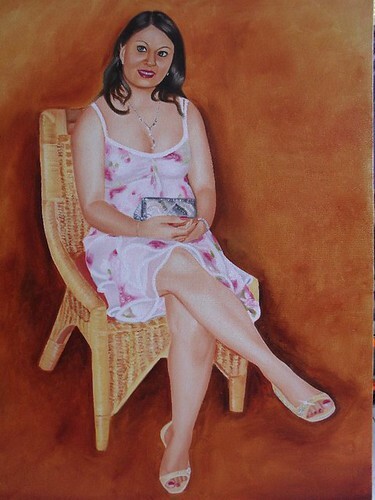 Coffee is opened every day from 1.00 pm to 11.00 pm but if she doesn't really have a fixed closing time. 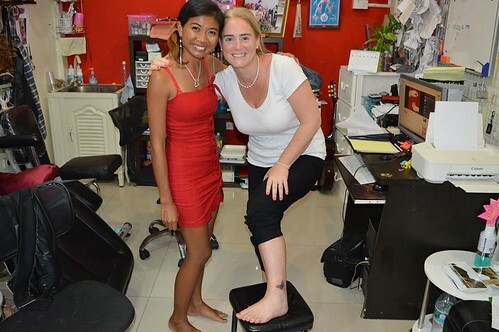 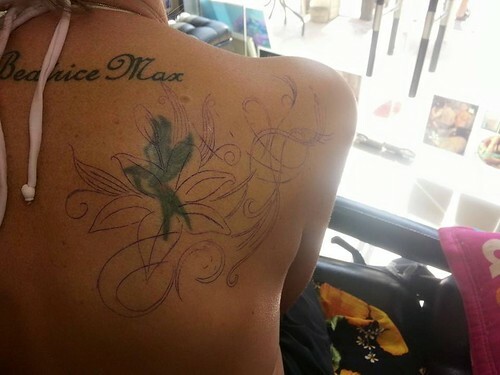 When she has started to tattoo, she can finish very late and it's not rare she closes her studio around 3 or 4.00 am. 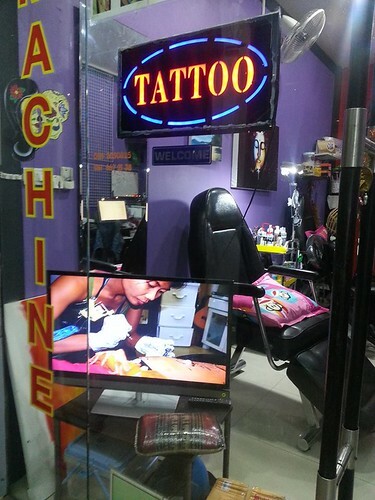 If you know what kind of tattoo you want, just come to visit her, with a paper copy, a picture on your phone or just an idea in your head. 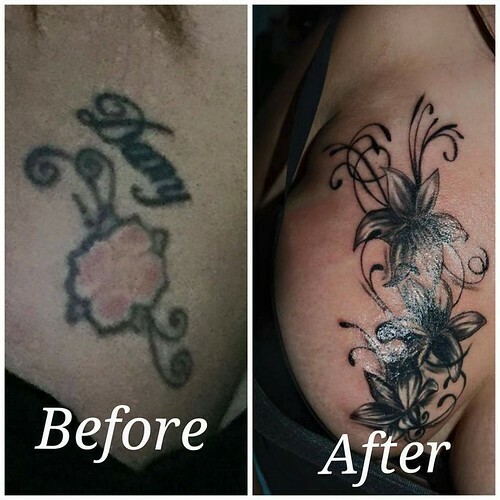 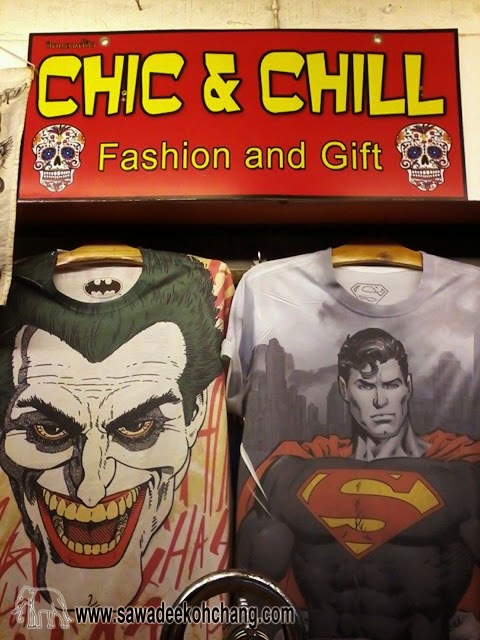 She will do the rest and design what you are looking for. 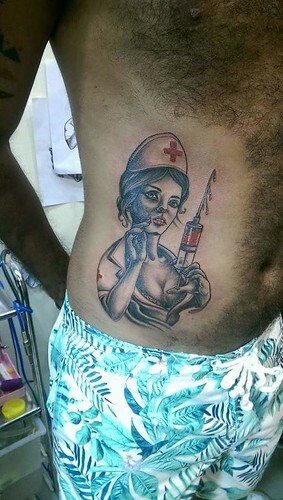 Coffee is of course using sterilised needles, protective gloves and professional tattooing ink. 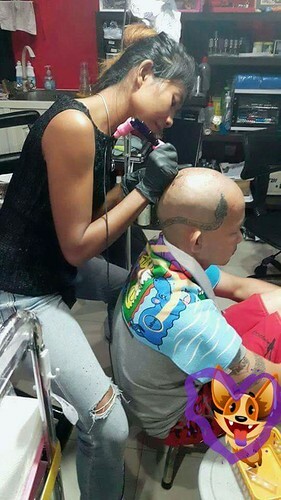 She is very careful with the hygiene. 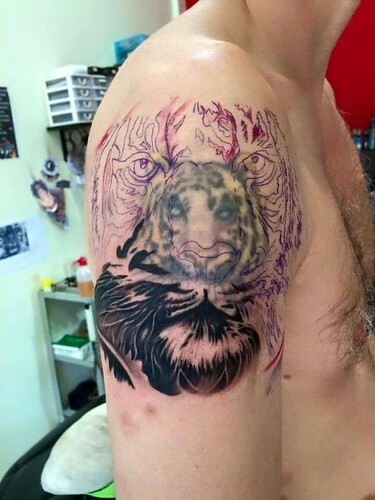 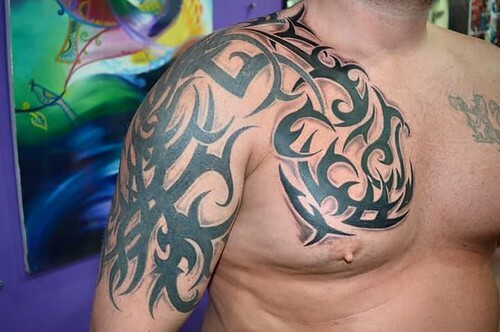 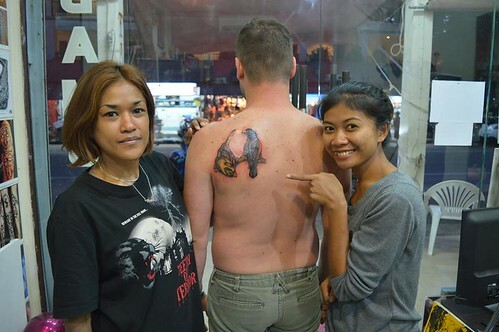 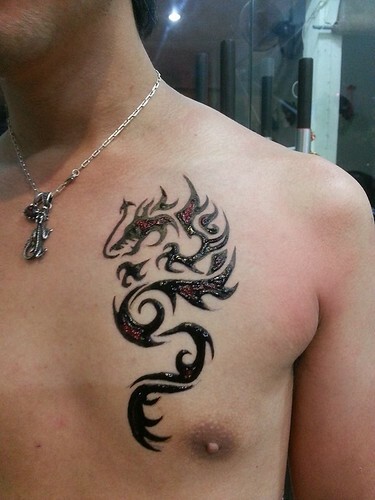 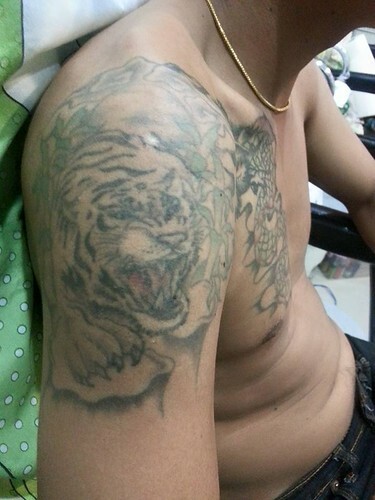 Coffee is also an expert in tattoo covering and repainting. 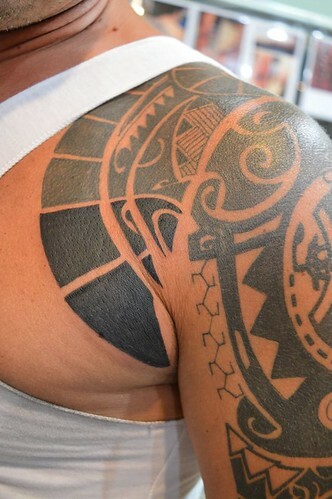 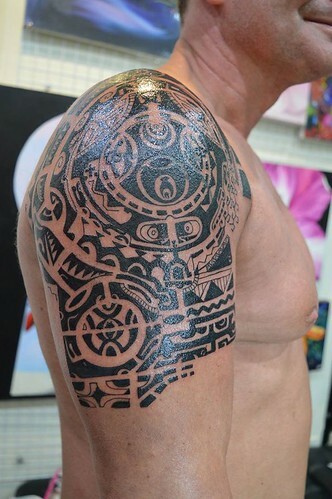 If you have an old tattoo you would like to cover or to give it a second life, Coffee knows what to do and how to do it with taste. 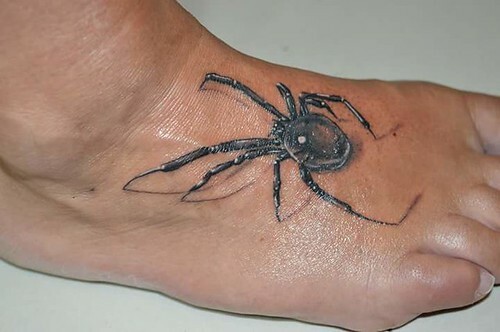 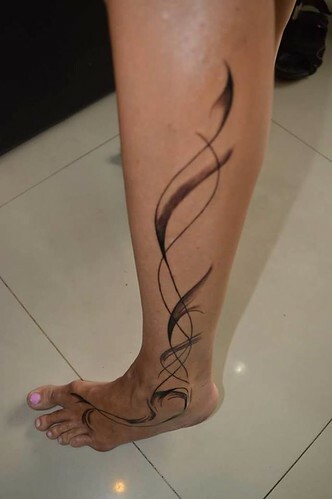 If you are tempted by getting a tattoo but scared to have it on your skin all your life, why not to try henna tattoo. 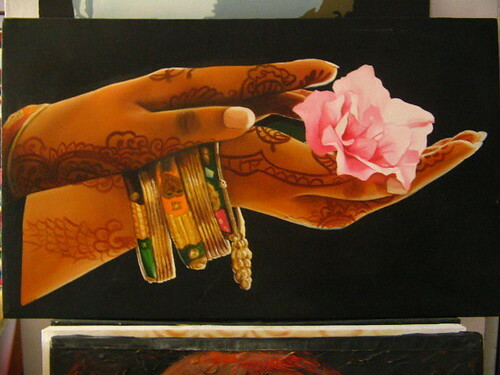 Henna is a plant which has been used since ancient time to colour hair, skin, fingernails, leather and wool. 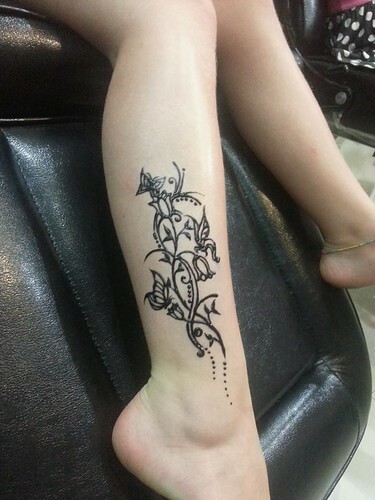 It takes between 10 to 20 minutes to apply the henna paste, depending of the design and between 10 to 15 minutes to dry. 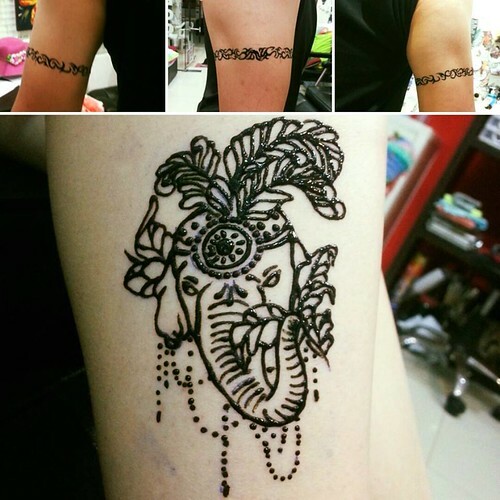 The henna colour will fade in one to three weeks depending on your skin and how much you wash the part where henna has been applied. 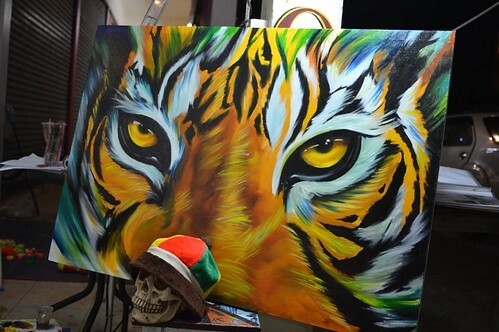 And when Coffee is not tattooing, she is painting. 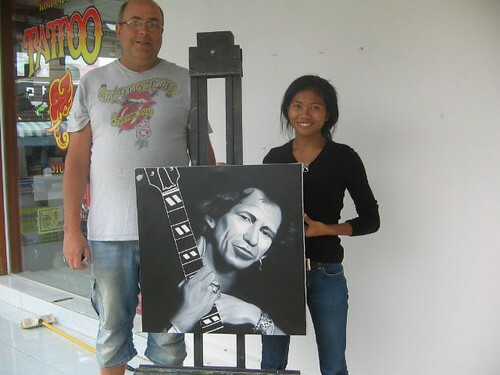 You can see some of her paints exposed in front of her studio but she can also paint on request.